Private and public animal shelters in your area and surrounding areas or local veterinarians offices. Your county’s animal control, city and county law enforcement. In your local newspapers, shoppers guides, social media or other internet tools. 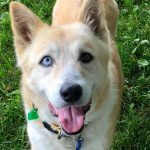 Petfinder.com is a great tool to find shelters that many have information to help. “For the Love of Louie” ‪#‎fortheloveoflouie‬ on facebook, any of your area’s resale sites if you lost or found a pet. Describe your pet in detail. Include it’s color, any special markings and unusual characteristics. Use a photo that helps determine your pets size. One with a person or a piece of furniture works well. Was your pet wearing a collar? Describe it’s design and color, and list any tags that may be on it. Be sure to note if your pet has been micro chipped. Include the date and area you last saw your pet. 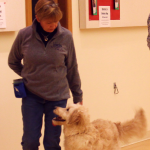 Rewards can be very helpful in your pets safe return. Does you pet answer to a specific name? Include it’s given name and any nicknames it might respond to. Post your flyers in grocery stores, veterinary offices, and businesses in your home town and the surrounding areas. Give one to your local animal control, any area shelter, the post office, and also your city and county police. In the State of Michigan, stray dogs or cats without identification must be held for four days. Those with identification must be held for seven days from the date the required notice is sent to the owner alerting them that the animal is at the shelter. This does not include Saturdays and Sundays, State holidays, or the day of arrival. This identification can be a collar and tag, a dog license, or a microchip whose information is current, but it must lead to the address of the owner. Please keep a collar and ID tag on all your pets. We sell collars and ID tags here at Bellwether Harbor. If you are placing ads or putting up flyers because you found a pet, the information should be minimal. When someone calls to inquire about the animal, you can ask them for a more detailed description of the pet and the circumstances surrounding it’s loss. Does the animal respond to the name they gave you? If everything matches, arrange a place to meet, this does not need to be your home. 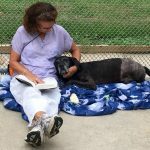 Bellwether Harbor’s first priority is to abandoned, abused, and neglected dogs and cats. We believe pet owners need to be responsible for their pets needs now and in the future. You may think that because we are a shelter we have special ways of finding homes for our animals. We don’t. We care for them, give them our love and compassion. We advertise, letting people know we have wonderful pets for adoption. If you know you are moving, plan ahead, please don’t wait until the last minute. Finding a new home for your pet may take some time. If you find yourself in the position of having to find a new home for your pet we recommend the following things. Put up flyers in areas where people who might be looking for pets might be, like the veterinary office, grocery stores, pet and farm stores. Put ads in area newspapers, shoppers guides, and the internet. Run these ads for at least two weeks. Ask family and friends if they know of anyone wanting or looking for a new pet. If you need help in screening people interested in your pet, please feel free to use our adoption application as a reference for questions to ask potential adopters. If you can show us proof that you have done all of these things, and you have not had any success placing your pet, we will try to work with you. If we have room we may be able to take your pet. Please remember that our first priority is to abandoned, abused, and neglected pets. If we do not have room in the shelter we can put you in our data base of people looking for specific animals and animals looking for new homes.